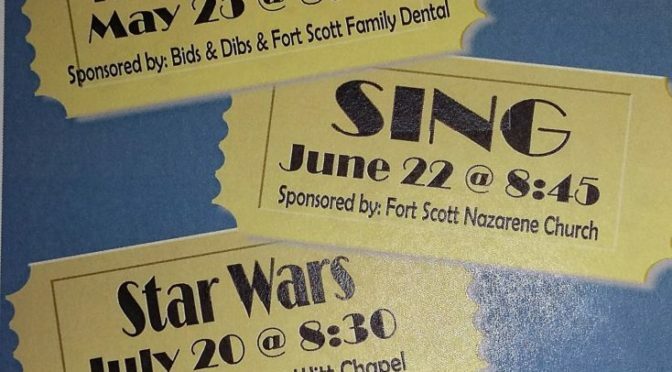 There will be four, free movies for family entertainment this summer at the City Park just south of the Lowell Milken Center at Wall and Main streets downtown. 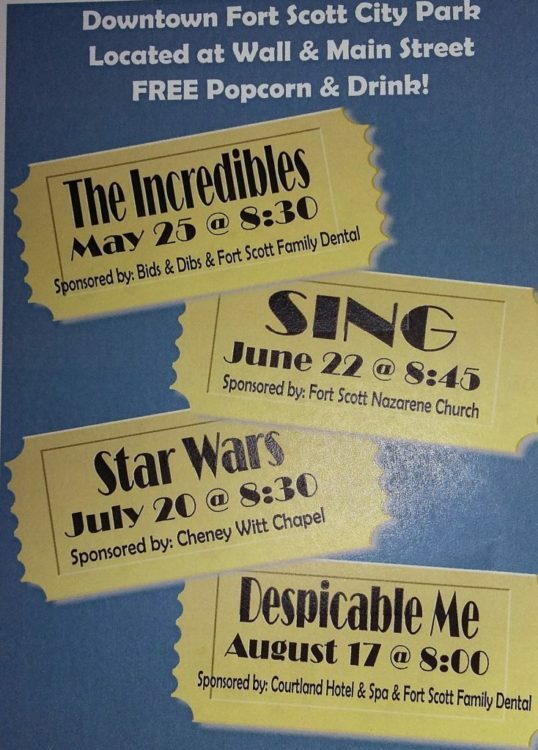 The first one is The Incredibles sponsored by Bids and Dibs and also Fort Scott Family Dental. The movie will start at 8:30 p.m. on May 25. In case of inclement weather, the movied will be moved to Memorial Hall. Free popcorn and drink will be available.